Life IS: Do you have a Mobile Strategy yet? India has more than 160 million Internet users, of which 86 million access Internet using their mobile devices. In the last 3-4 years, the number of users who access the Internet through a 3G connection has grown to round 22 million. To put things in perspective, compare this with the 15 million fixed line broadband connections accrued over the last 17 years. There are over 36 million Smartphone users as against 60 million PC users. 9% of overall Internet page views in India come from mobile devices. Over 40% of searches on Google originate from mobile device. 30% of Face book users in India are mobile-only Internet users and 30% of new registrations are coming through mobile. 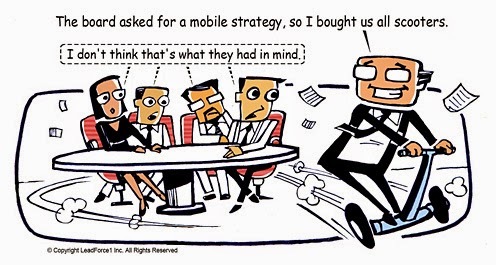 Need more reason to think Mobile? 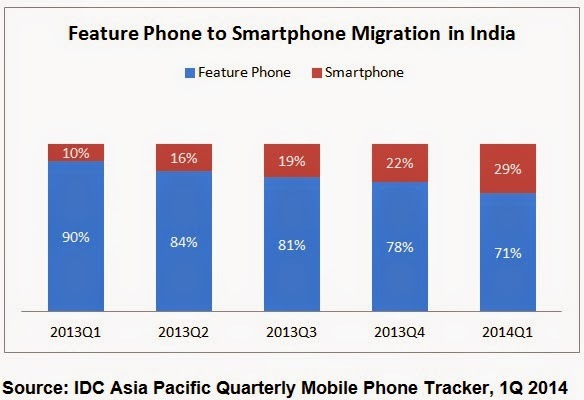 IDC Asia Pacific Quarterly Mobile Phone Tracker, 1Q 2014 points out that India was the highest growing market in Asia Pacific with a year-on-year Smartphone shipment growth of over 186% in 1Q 2014.The vast majority of the country’s user base migrated to Smartphones from feature phones and as a result Indian Smartphone market outshone other emerging markets like China which registered a year-on-year growth of 31% in 1Q 2014. Mobango, which is among the largest independent free Apps Games and Video store, saw a dramatic increase of over 56% in the number of Android downloads in 2013 primarily due to users shifting from feature phones to Android powered Smartphones. Of this, India was the single largest contributor of game downloads at over 45m downloads. Mostly, the reason for Mobile being absent from marketing plans or why a lot of companies still do not have a mobile strategy, is lack of information on what they can do and how. So let's try and list a few things one can do from the Mobile Perspective. First comes the website. Is your website mobile ready? Which could either be a customized site for mobile devices or making your website responsive so that it can render correctly based on the device the person is browsing from. Next comes apps. Now not all businesses or brands need to have apps. But if it can add value to your customer then do work on that. Search is as important on the mobile as on the desktop, if not more, so are your targeting mobile users in your search ads? SMS is still a very good way to keep connected with your customers. And no, am not talking of spam sms messages to anyone and everyone using bought out databases from the market. What I am talking of is permission based messaging to keep your customers informed of offers, new arrivals, loyalty points,and other things that can be of value. More emails are now being read on mobiles than on desktops so check if your emails are now mobile friendly? Banner advertising or display as it is called is also on mobiles? It could be in-app banners or website banners. Have you tried the same? QR codes can help get users reach your website, know more about your products or services or participate in a contest or just see a brand video. 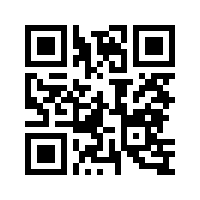 Are you using QR codes wisely? Location based services can help get people to your outlet or know about special offers close to them. Are you looking at who your customer's are from this perspective and if you can use this as a tool to get them in? Whether it be marketing, selling, attracting new customers, getting old ones back, engaging with customers, CRM, notifications on special offers and new arrivals, or something else, Mobile can be used for anything and everything. Plus, the Mobile, is a personal device and, it is also almost always on. It's the one device people take with them almost everywhere. So if you haven't then it is high time to start thinking how you can use this devise to connect with your customers, current and potential, better. A few do's and don'ts to keep in mind while thinking mobile. Use only what suits your business and adds value to your customer. Do not be intrusive and do not spam. Be time and culture conscious. Think consumer and what they want and will appreciate and not just what you can give them. Remember apps have to be downloaded, installed and opened and used. So just creating one is not the end all. And last but not the least, test, analyze, adapt and change and keep doing that. That's it for a start. Think Mobile. Think Customer. Get started. 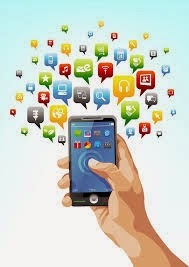 If you are already using Mobile for your business then do share your learning. If you have questions or opinions to share please feel free to comment below.